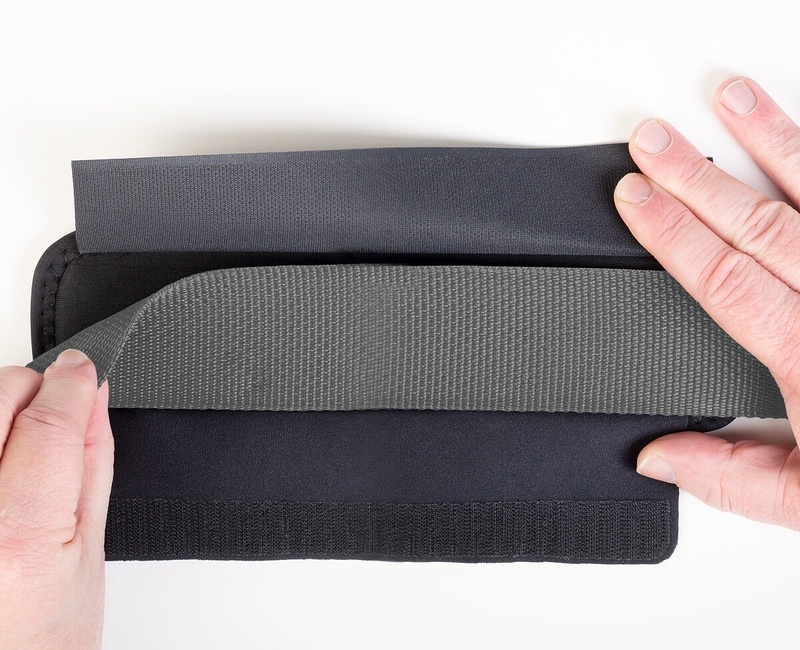 With the Shoulder Cush™, users will enjoy our famous comfort features of combining neoprene, memory foam and Lycra® binding to create a pad that evenly distributes the load across a larger area. The Shoulder Cush™ is the perfect add-on pad! No longer is it necessary to put up with an inadequate shoulder strap that is sewn into the bag making it difficult to replace with OP/TECH USA’s more comfortable S.O.S. Strap. In those situations, Shoulder Cush™ is the perfect solution. With the Shoulder Cush,™ users will enjoy our famous comfort features of combining neoprene, memory foam and Lycra® binding to create a pad that evenly distributes the load across a larger area. 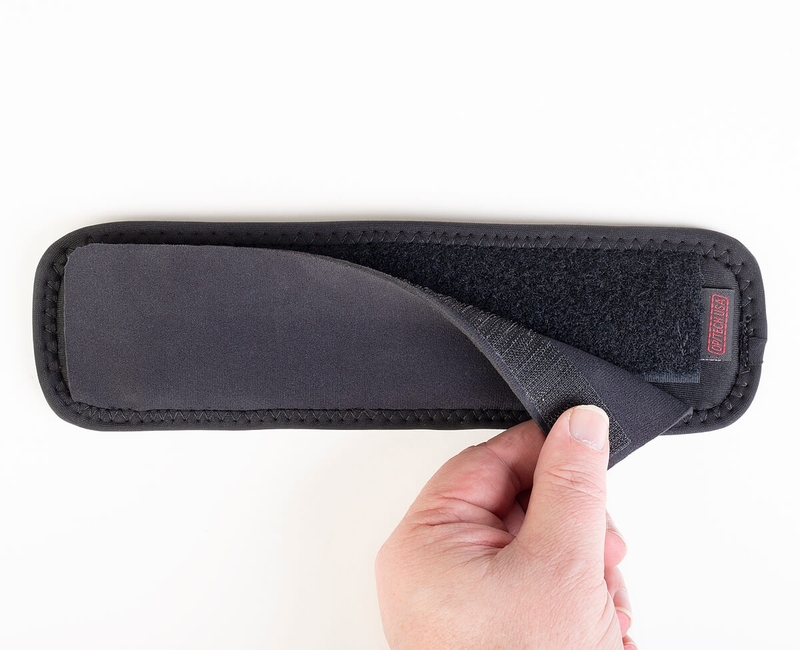 This results in a strap that can make gear feel up to 50% lighter and 100% more comfortable. The Shoulder Cush™ provides soothing comfort and extra grip to any strap. 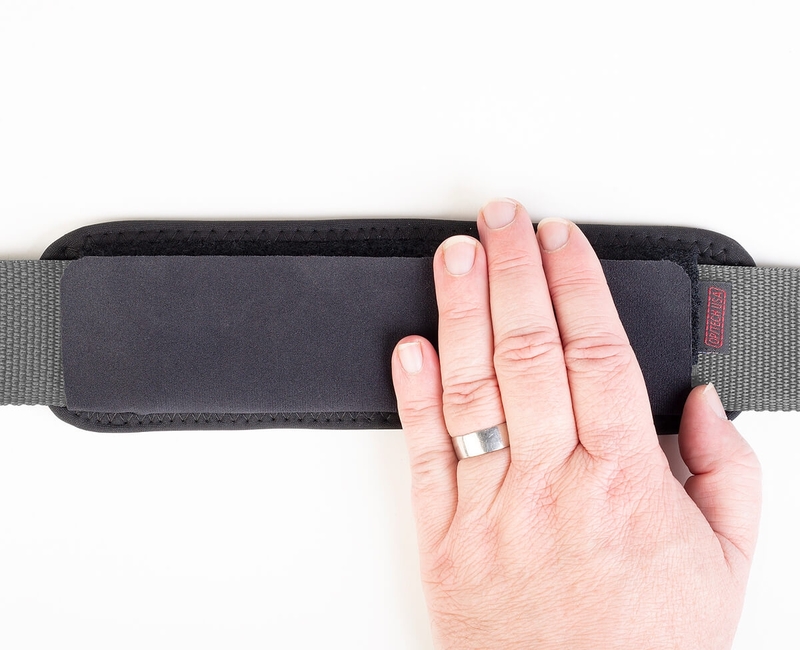 The touch fastener closures wrap around straps measuring up to 2” (5,1 cm) in width. The non-skid surface keeps the pad in place, even if the strap is pulled through the Shoulder Cush™ to another position. The unique laminated neoprene and memory foam pad instantly make any load more comfortable. Why suffer with uncomfortable straps when adding the Shoulder Cush™ can make all the difference? Try it today and give your shoulder a well-deserved rest. Open both touch fastener flaps on the back of the pad. Lay strap across back of pad. Close touch fasteners around strap.